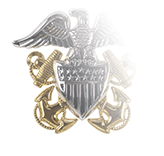 This anodized waist plate with an affixed Eagle, Globe, and Anchor emblem is authorized for wear Non-Commissioned Marine Corps Officers. 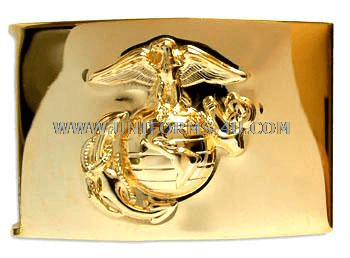 USMC enlisted waist plates come in two more designs: Lance Corporals and below wear a plain, highly polish plate. 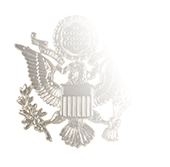 while Senior NCOs—those in grades E-7 to E-9—are issued waist plates that feature a laurel wreath encircling the EGA symbol. 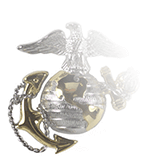 For some Marines, waist plates are considered organizational clothing and are prescribed as part of the duty uniform. 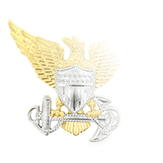 Members of the Marine Drum and Bugle Corps, for example are required to have anodized buttons, cap and collar devices (anodization for these items was introduced in uniform regulations released in 2003). 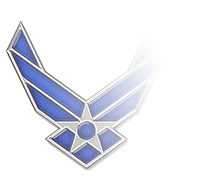 Honor Guard Commander may, at their discretion, require the wear of the waist plate with the white web belt, and Marines who’ve been assigned to security force duty under the command of Military Police will wear the white web belt with waist plate in addition to the black military police belt.